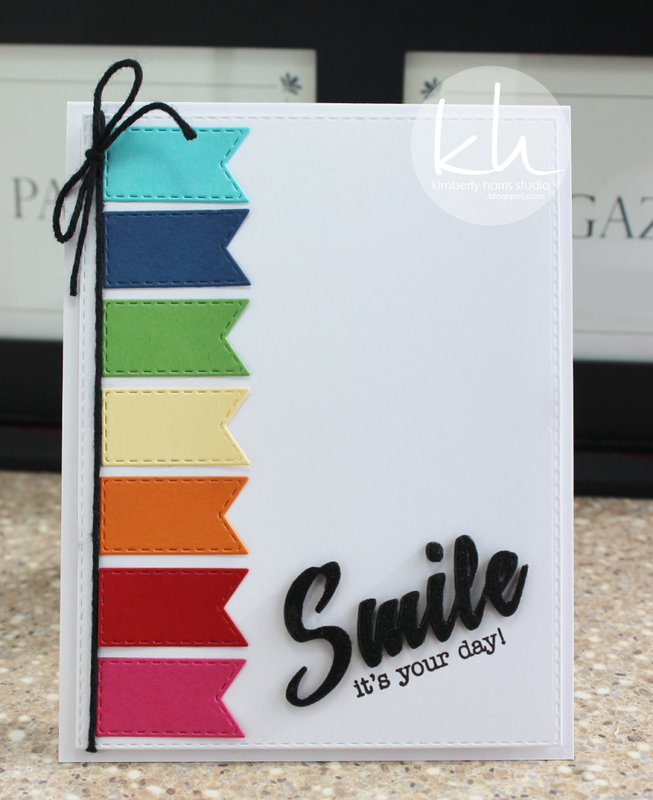 GOOD MORNING my sweet friends & welcome to our 2nd day of sneaky peeks from the 41st edition release! 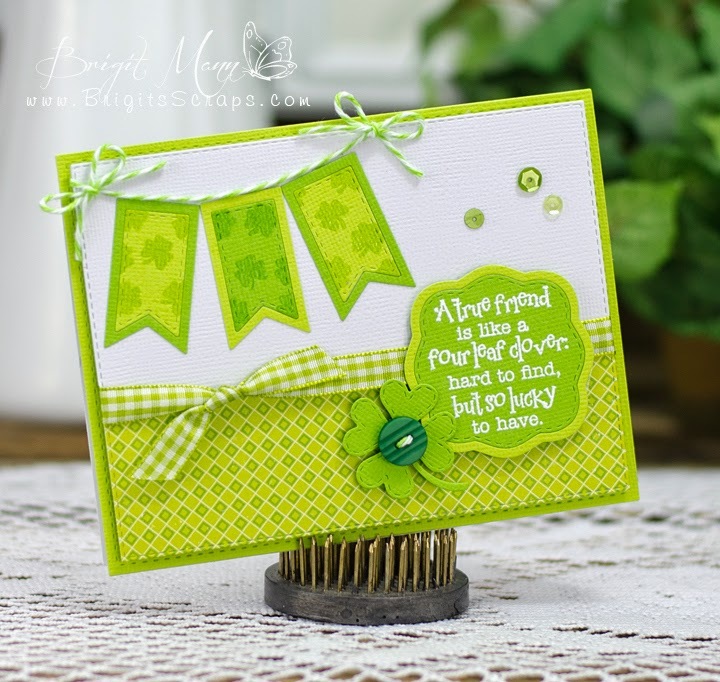 Today we are all showcasing a NEW set of dies called: "Fun Stitched Tag Dies". You can see in my video below all the dies that are included in this set! I just LOVE it because you can mix & match it up w/my existing sets that I have out already! 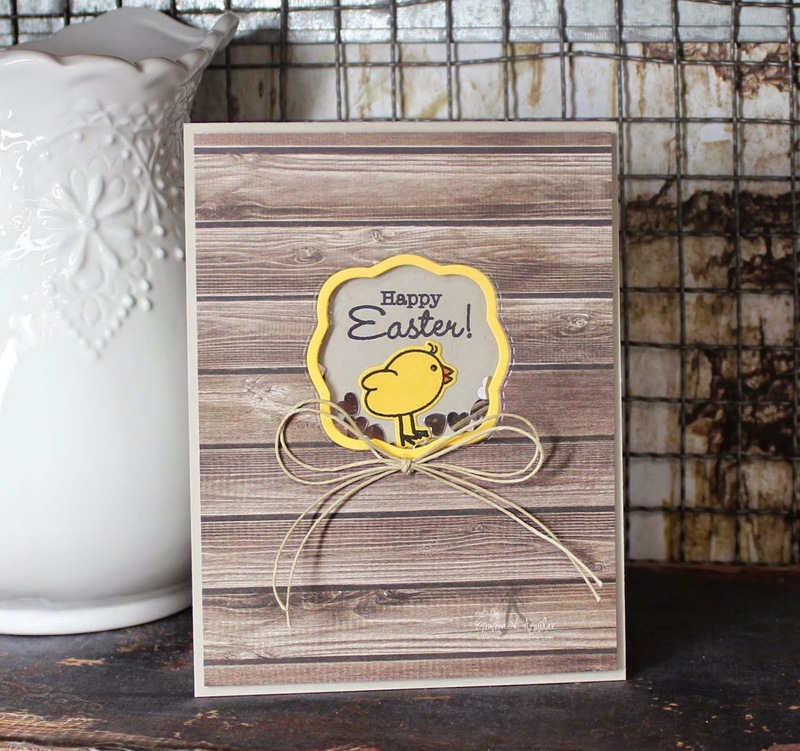 This is a standard card size & I just HAD to use the little chickie & sentiment from my To a Cute Little Chickie set! I explain in my video below how I put my card together! I just LOVE the little shaker window I made using one of the tags! I just wanted to give you ideas on how else to use these than just your basic tags! 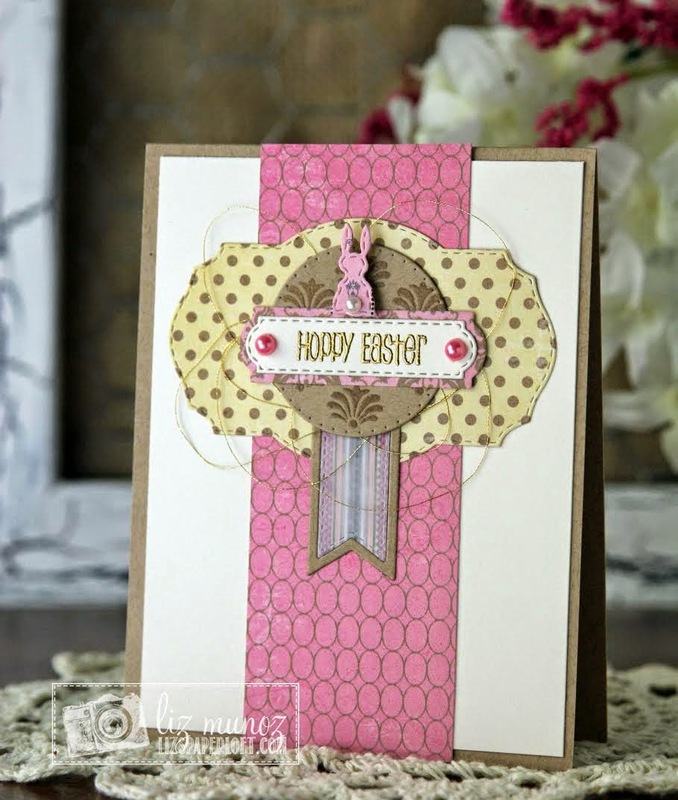 For this next card, I used the little bread tag (that's what I call it) in this set! I took the little heart from my Stitched Sweethearts & XOXO Dies & made a little cut out on the top die so I can create a tiny shaker tag to add to my SUPER SIMPLE card! I finished it off by using a sentiment from my Window Sentiments & Flower Stamp Set! My final card size is 3 x 31/2~! Love your card with the highlighted circles! Thank you for sharing! 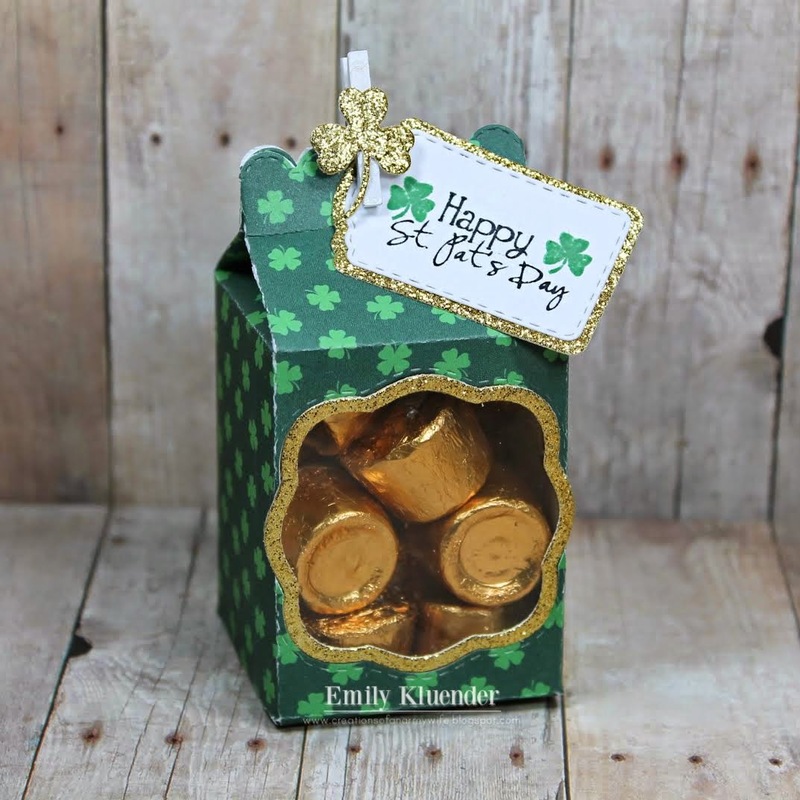 A very cool addition to your dies! Can't wait for Friday! Hi Emma , i love your new dies . i can't wait till i can order them. 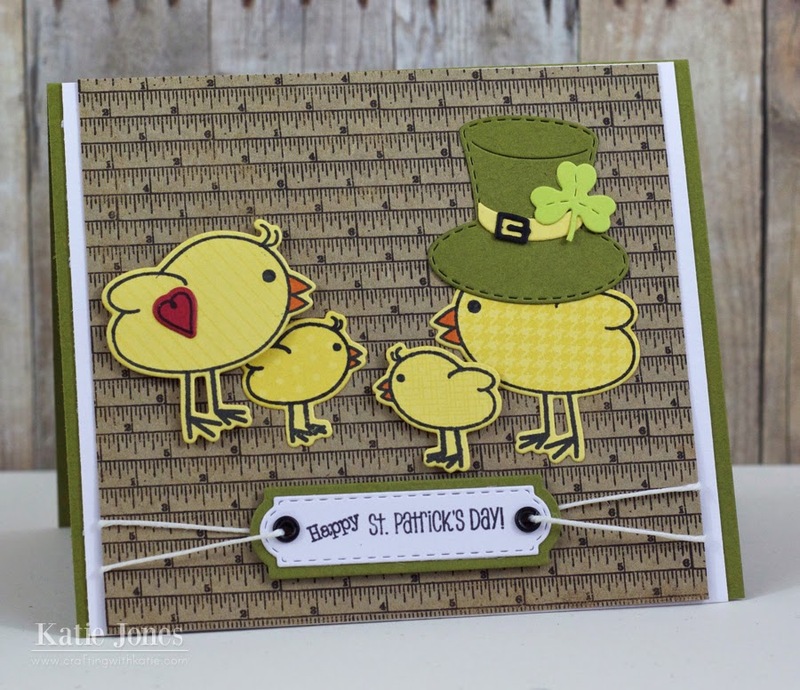 Good Morning Miss Emma.....OMG I Love todays Sneak Peek WOW absolutely Fabulous and I love the cute, clever, cool and creative ways you used them....your Chicky card is adorable and your teeny shaker is so cute...WOW!! I so can't wait to get these dies...gosh you truly have outdone yourself and it's only day 2 gosh how exciting. Well sorry to hear you aren't feel well so just take it slow as you need to be able to enjoy your week of #41st release. YOU so ROCK!! OMGosh, Awesome. I love both of your cards as well as your design team's projects/cards. I never thought of using tag dies as windows, great idea! 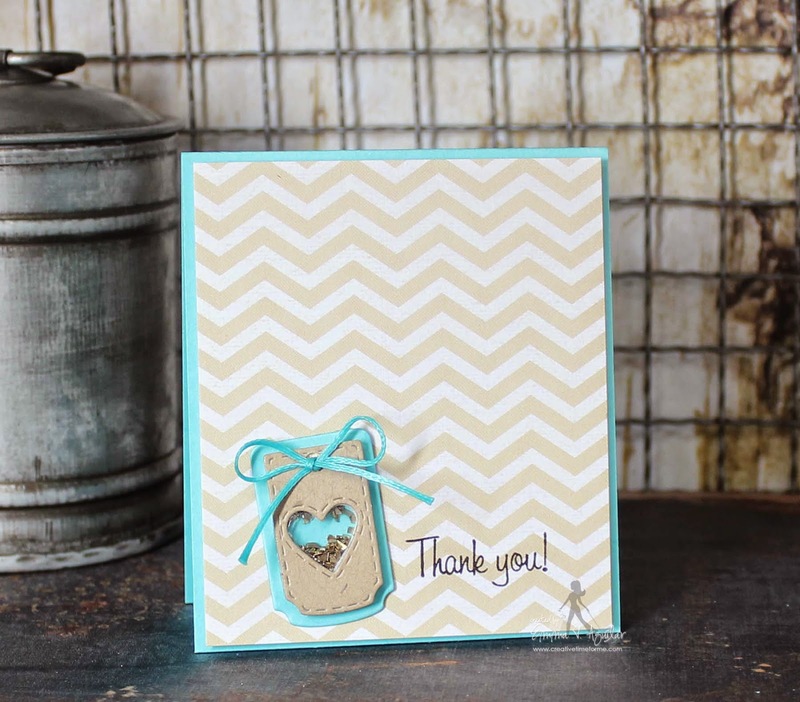 I really like the colors you used in both cards, especially the thank you note card. Adorable cards Emma! I especially love the color combo of the smaller card! 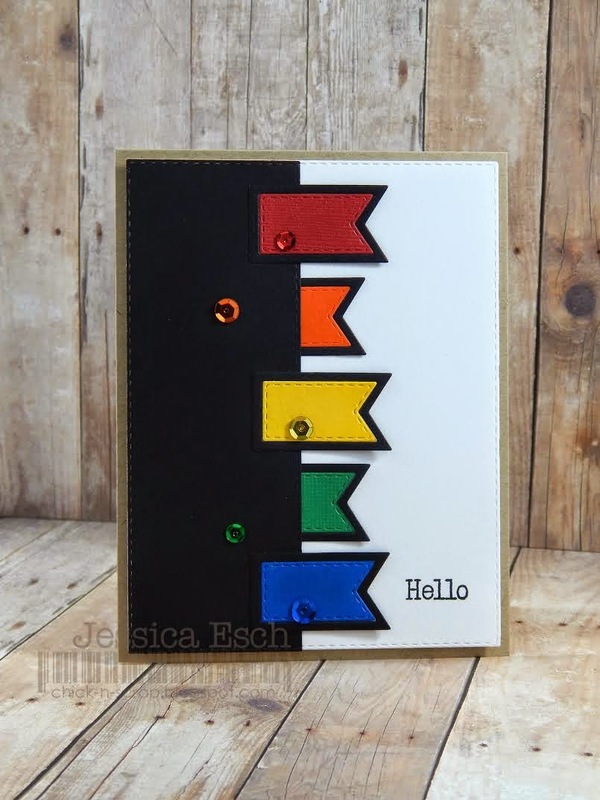 I love how you used the new tag die set to make shaker cards too! Emma, Happy St Patty's Day! Love the cards you have created along with your DT! Very sweet! Happy St. Patty's Day!! SOOOO Excited for this set!!! Love all your crafty projects you created today as well!!! Cant wait to see what the rest of the week brings!! So many cute dies with so many possibilities. I love them all. The projects today were all so fun. Can't wait to see what else you have for us! Sweet tag dies! I really enjoyed seeing everyone's fabulous creations! OMG Emma those tags are so cute, love the little one you made with the heart cut out as a shaker box, fantastic idea. The Design Team's projects are all amazing. Love the new tag dies....very cute! Your little shakers are so darn cute! I can't believe that teeny heart one! Adorable!!! Emma your card is so adorable and you know I'm loving all of this release all ready. So excited for the new tag dies. Great day two release. How super cute are these...love them!!!!! I really love the new stitched frames that have come out in the past few months and these new dies really will be a great addition! I really love your shaker cards, I haven't been brave to create one but with the fun foam it makes it look a bit easier! Emma ~ Oh my word your cards are simply PERFECT! The first one is seriously ADORABLE!! LOVE how you showed me how to used the foam ~ seriously!!! See I am still learning here! Then your 2nd card is just CAS but yet so BEAUTIFUL! The DT's did an AMAZING job!! This "might" be my FAVORITE release yet! Ha! Emma, your cards are adorable! I love the shaker card. These new dies are fantastic!! How cute are these cards?! The shaker cards are so fun! I love the chickie and the the little mini shaker is so adorable to! Great projects by the DT to!!! What great die set - I can think of a million uses for it! Your cards are so cute and your design team did a gr8t job, love love love those tags, they are my weekness! Cute new tag dies, love what everyone has done with them, I especially love your little thank you card. Looks like it's going to be another great release, Emma! 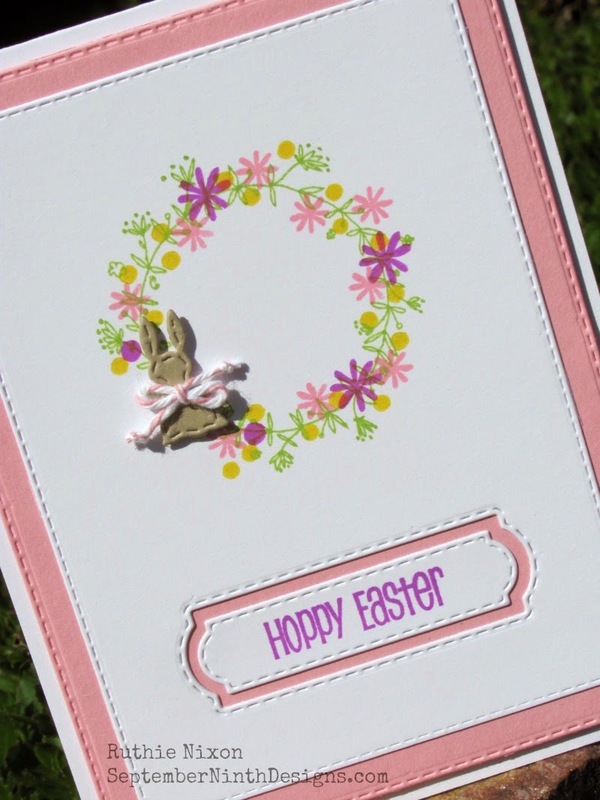 That shape on the shaper card is a fresh change and so pretty for the spring. Looking forward to seeing more! Super Cute Shaker cards Emma!!! I love the new dies, thanks for sharing. Your set today is awesome, Ms. Emma! Love the showcases! I love the heart sequins showering the cute chickie. I was using those cuties yesterday . I can't wait until Friday. Love the bread tag. This will be a great set of dies to own. I LOVE tag dies!!! Can't wait to get them in my hands! another winner miss emma! yes, these will be my go to set for tags and banners! oh my goodness, that tiny shaker is adorable! Your cards are so fun and adorable! That new tag die set looks fun! OMGosh this is definitely a must have set for me! LoVe, loVe, LOVE it! Sweet Emma! Love the new tag set. Cannot wait till Friday to order them. I love how you add to our collection of dies by keeping all of us in mind that have all of your existing sets! And I am in love with shaker cards too! Wow! How fun was it to see I had won yesterday's giveaway. Definitely feeling lucky today! :) Love today's sneak peek as well! 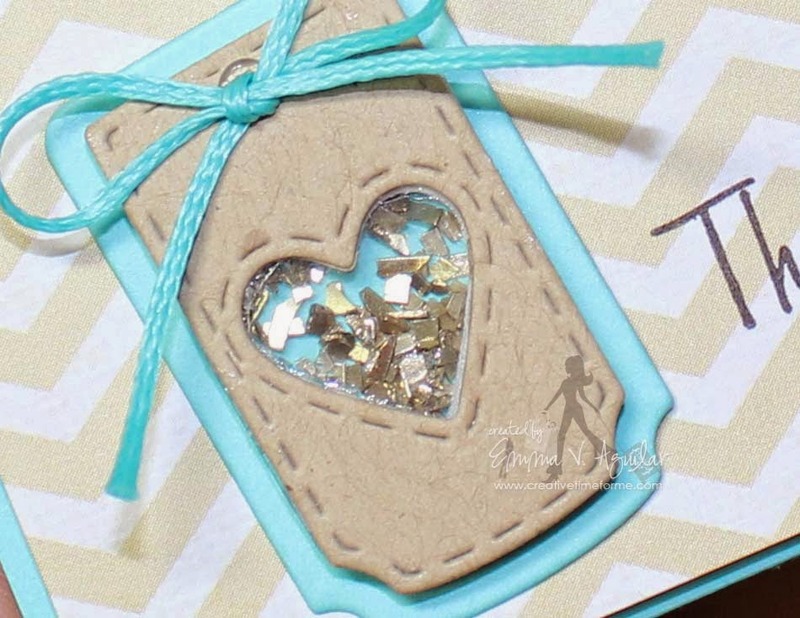 Your card is simply adorable and the tag set is amazing! I hope you get feeling well soon! Oh my goodness!!!! What darling and cute shaker cards!!! I really love your Thank you shaker card!!!! Such a BRILLIANT idea!!!! Love your shaker cards today, and all the projects created by your DT! These new dies will come in handy! Get well soon, Emma! I hope you are having a nice St. Patrick's Day even though you are under the weather...I guess it is your turn and hope you are quickly back to feeling better. I loved your shakers and how the new dies helped to cut and embellish them with the little frames. I really like the 2 layer dies sneaked today. What a super job you and the team did showing off beautiful ways to use them with other MCT products. Beautiful job everyone. I just get so excited when you have releases. I love your dies and stamps. Can't wait to get my hands on this one. The examples you and your design team show are outstanding. Just love the inspiration I get from you! Thanks so much! Great dies Emma. Love the shaker tag on the card. Love the variety of stitched tags in this set. so cute and super sweet cards, i lvoe the new tag die! Great cards, Miss Emma! And who can't use more tags? Right?! 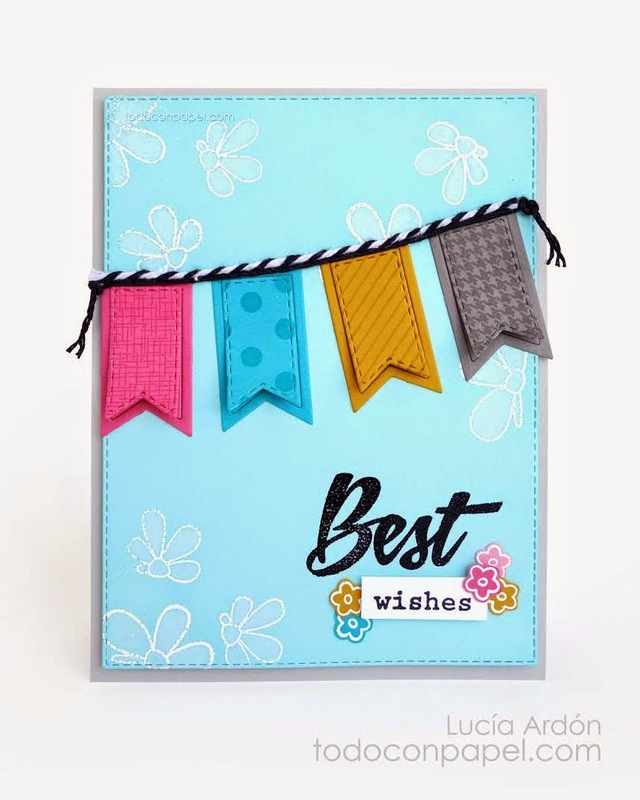 Love these fun new tag dies, Miss Emma! They'll be very useful! What an adorable tiny shaker- so creative! I just LOVE your cards Emma!!!! These new tag dies are AWESOME!!! These tags are so cute and I'm glad I already have their matching set. Your design team is totally awesome, they always do justice to your stamps and dies. Thank you and hope you feel better. Very nice shaker card ! 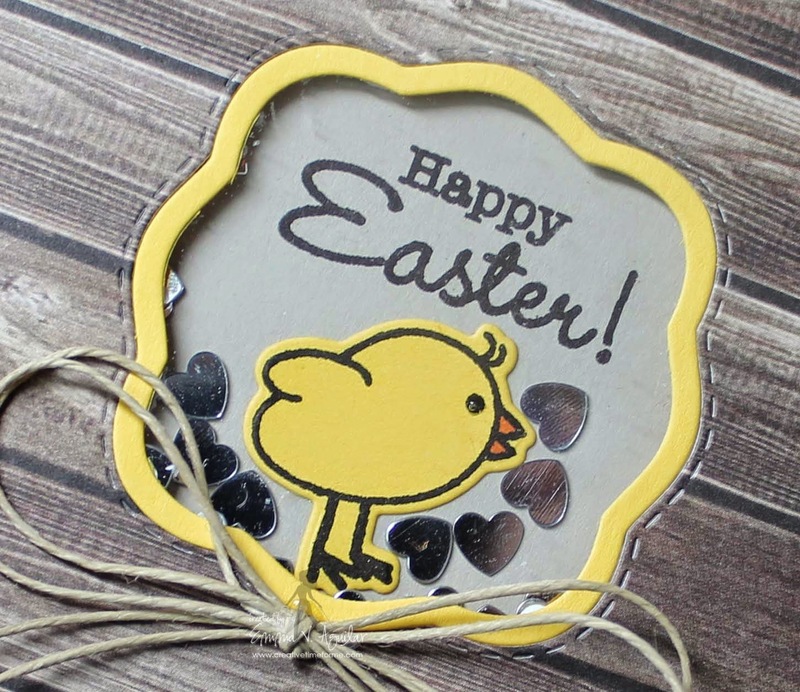 That easter chick is so adorable! Another great day of sneaks from you and your DT, Emma. Wow I love this release you make cute designs Emma. I love your little shaker. So cute. Awesome cards! Lovin' these Fun Stitched Tag Dies! Thanks for sharing these great projects from you and your design team! Love the new tag set! Love the idea of the stitched tag dies. Can't wait until release date! Totally love these, shakers are my favorite! !